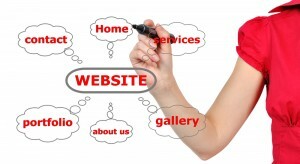 What does your website really reveal about your business? A successful website should ideally be both show-stopping and simple-to-use, but what does your website really reveal about your business? Websites are all about first impressions. In an online world, there’s no time for gradual getting-to-know-you moments; your website needs to grab attention from the get-go. Prospective clients will make snap judgements about your business in the first few seconds. Your website should showcase a strong, well-thought-out brand that projects a confident message about what you can offer, so customers can believe in your business. The overall look of your website should reflect your business ideals. Every little detail matters here, from the layout of your copy to the colours you choose, the images you use and even your choice of font. All of these ingredients are important. They reveal whether your business style is classic, traditional, professional, informal, artistic, edgy or modern. The content you choose is also crucial. Punchy headlines and crisp, dynamic copywriting are the best way to get your message across loud and clear. It pays to invest time and attention when it comes to the creation of your website. If you want to ensure that potential clients buy into your brand, you need to convince them that you mean business. A website full of spelling mistakes, poor formatting, sloppy grammar, low-quality images or lazy content isn’t exactly going to make a good first impression. If the devil is in the detail, it’s worth investing in compelling and original copywriting, careful proofreading, sourcing of high-quality images and efficient formatting if you want your website to shine. Don’t scrimp when it comes to web design; each page should have a dynamic visual impact. Pay the same amount of attention to every page on your website, so the look is cohesive and the content is always of the highest standard. If you don’t cut any corners, you’ll show prospective clients that you take pride in what you do and can offer a thorough, high-quality and efficient service. In a glut of online information, it can be hard for potential clients to sort the wheat from the chaff. The days of the friendly, local service may appear to have been overtaken by the internet, but the principles remain the same. Customers are still searching for a personal connection, for a friendly and approachable business they can trust, who can reassure them and offer them an individual service. Your website ‘About Us’ page is the ideal forum in which to say something about your business and put a friendly face in place of a corporate brand. Imagine it as a shop counter, offering a smiling welcome to anyone who stops by with an enquiry. Don’t be afraid to give away a little about the background to your business. Introduce your team with photos and bios, explain the motivation behind the business and share your business ethics and vision for the future. It’s the best way to build trust and connect with your audience. Once you have established a personal connection, your website also needs to prove that you care about your clients. Making sure your website is easily navigable is important, with clearly defined menus and thorough services or product pages. Content is the key to great audience engagement. Are you offering high-quality content that offers something to the client? Is the tone of voice with which you address your audience hitting the right notes? It’s best to directly address your audience and don’t forget to keep it simple. You should make it clear what you do, how you do it and why they should choose your business in the simplest and most appealing terms. Your copy should be compelling, original and yet direct; no one wants to be confused with too many fancy words or incomprehensible ideas. If you can translate your passion for your business into your content, then you can convince your audience that you really care. It’s not enough for a website to simply be there, flatly offering information. Today’s websites are more sophisticated and interactive, so offering video content, blogs, social media links and incentives such as competitions or surveys is a great way to make communication a two-way street. The best way to engage with your audience is through a blog, which can offer useful advice, great ideas or entertaining content. A blog shows off your business personality and says that you are generous enough to want to share your skills or expertise. Embedding social media links or sharing facilities into your website is another way to interact with your audience. Invest time in connecting and communicating and you will let the world know that engagement is your priority. To find out more about the financial copywriting services offered by Love Letters, click here. If you would like to receive regular financial services content marketing hints and tips then you can sign up to our monthly newsletter here.